Mr Sanjeev Kumar Lohia is Officer on Special Duty (Urban Transport) and Joint Secretary at the Ministry of Urban Transport of the Government of India. His field of work includes policy and reforms relating to urban transport and development of metro rail services and BRTS in the country. He is the architect of India’s highly successful bus transport story under the Jawaharlal Nehru National Urban Renewal Mission. During his tenure in the Urban Transport Ministry in the last four years, he has made non-motorised transport a vital element of the country’s transport policy. An officer of the 1986 batch of the Indian Railway Service of Engineers, he has more than two decades of experience in the field of transportation systems. 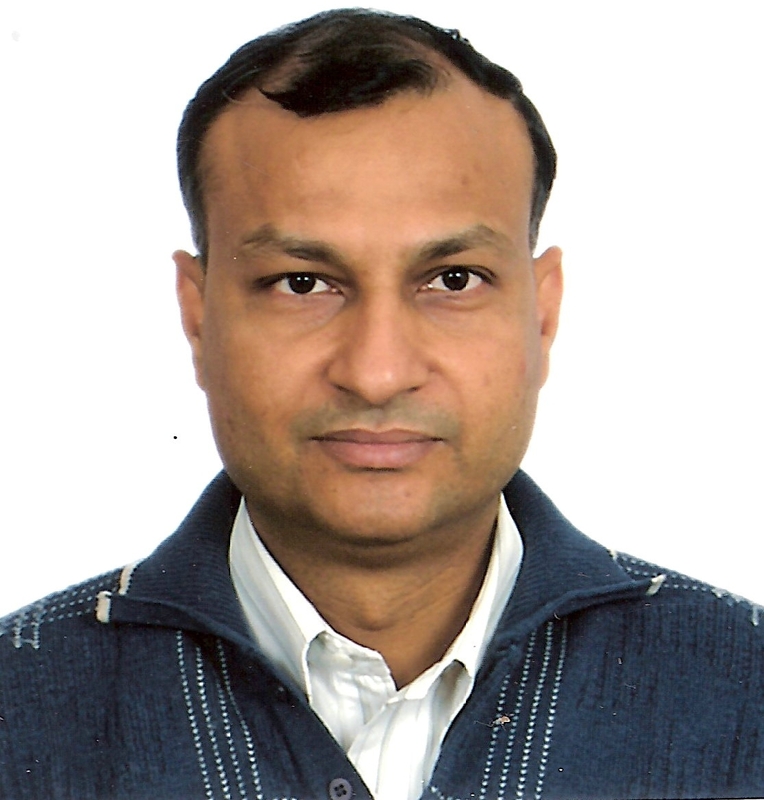 He has a Bachelor’s Degree in civil engineering from the Indian Institute of Technology (IIT), Delhi and a Master’s degree in System and Management, also from IIT, Delhi. 1. India has a large share of nearly 40 per cent users of non-motorised transport (NMT). In this background, how can the infrastructure for pedestrians and cyclists be provided in the country? The issue is not of money. Had the money been an issue, we would not have been able to build roads and fly-overs. The issue is more of understanding and awareness. So the focus has to be right. At present, unfortunately, the focus has still to move from vehicles to people though the National Urban Transport Policy (NUTP) envisages that. Through various actions like the comprehensive mobility plan, the parameters for national mission on sustainable habitat, advisories, tool kits and training programmes, we have been trying to raise awareness on NMT. 2. The National Urban Transport Policy spells out that cities should be designed for people, not for vehicles, yet funds for transport projects go to car-friendly infrastructure and mass transport like metros rather than for last mile connectivity or footpaths. How can we realize NUTP’s vision for cities designed for people? The NUTP also talks of prioritizing investment in public transport and NMT. It doesn’t say we should forget about non-motorised transport. We take up most of the projects like the Metro, which are all for public transport. The issue is of first mile and last mile connectivity. Henceforth all MRTS and DPRs will be multi-model to include feeder buses, public bike sharing and pedestrianisation. The cost of all this will be included in the main project so that the issue of funding doesn’t come up at a later stage of the project. 3. You have been a visionary. You have initiated projects under JNNURM. What is your vision for non-motorised transport in India? How do you see India achieving high standards for NMT in the short- and long-term? All I can say is the mindset presently is vehicle-oriented. And in order to remove congestion, we are encroaching upon pedestrian and cycling paths. The service-level benchmark, which the Ministry of Urban Transport has brought out, for the first time in the world, one of it is for NMT facilities. The cities are yet to adopt and do the rating. So the ministry has taken this as a research project for 12 pilot cities. We hope other cities will also start the project. We are working through tool kits and training modules on where to focus on NMT. We have advised all municipal corporations in the country to have a separate budget head for NMT and have a separate NMT Cell. We are hopeful that all efforts the ministry has been taking in this direction will be able to translate into visible outcomes in this field. 4. What are your goals for Walkability? Do you see technology, like Walkability Apps, helping in this direction? The tool developed by Clean Air Asia is a very good tool. I have suggested more improvement in it. The tool can be of great advantage since the youth are quite tech savvy and with the feedback from the public through this apparatus it can draw the attention of the authorities concerned. I hope it can help improve NMT facilities and awareness. 5. How will the government ensure that training on NMT to officials associated with transport, such as the traffic police, emphasizes the welfare of pedestrians and cyclists? We have training programmes, which are attended by officials from several fields, including traffic police officers and planners. We have already conducted three training programmes and more are in the offing. 6. How do you think can we make society more sensitive towards pedestrians, the elderly, the children, people with disabilities, and cyclists on the country’s streets? It is through awareness at each level, right from schools, which might be by undertaking painting competitions and awareness through television programmes, up to officials and even elected people’s representatives. It is only through awareness that we can make the society more sensitive. 7. Is there a National Non-Motorised Transport Policy in the offing? If so, what are the salient features of the policy? The National Urban Transport Policy covers that. It may not be desirable to have a policy for each. We have to bring the focus on NMT. The steps like the creation of a separate budget head are all made in that direction. In fact, in the Third Phase of Delhi Metro, launching a public bike sharing system has been made a condition. We promote NMT and advocate the best NMT facilities at the national level. The implementation rests with the cities. We can only suggest, we can’t go beyond our role. The interview with Mr. Lohia is very impressive. So are his credentials. He says at the end, “We can only suggest, we can’t go beyond our role.” We find that JnNURM continues to fund projects, which directly violate the NMT norms laid down by MoUD, New Delhi. Pune Municipal Corporation, for instance, is using JnNURM funds to make ‘mixed’ BRTS. That means BRTS lanes on which all types of vehicles ply. Then why give JnNURM funds? The whole country has ‘mixed’ BRTS without the ‘rejuvenation’ from New Delhi? One should see the state of the Pilot BRTS in Pune. Our hearts bleed that the Central Government is helpless when public funds are being wasted. Time that we stop rhetoric and act on the ground.